Customizing your pickup truck is one of the great joys of owning one of these powerful machines. Come and visit our truck accessory shop to find out about all of the different custom truck parts we have available for you to choose from. 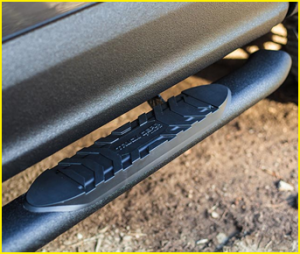 Safari Truck & SUV Accessories is proud to offer a wide selection of step bars, truck running boards, and nerf bars in Jacksonville, FL. Each of these high-quality parts not only provides a functional purpose, such as helping you get into your truck, they also add a stylistic element that gives you truck a look that better suits your personality and style. Give us a call today for a free consultation! 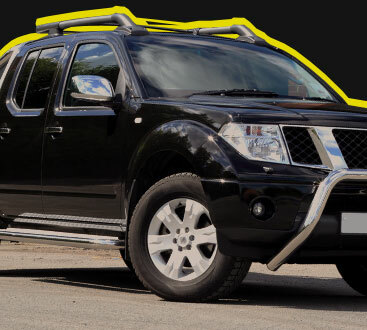 No matter what make or model of pickup truck you have, our truck accessory store has step bars that fit your vehicle and improve the way it looks and functions. They not only make it easier for you to load or unload your truck by giving you a stable place to step, but they also create a tough look that will make your pickup truck look even more impressive on the road. You might have experienced truck running boards and step bars before, but you haven’t seen anything quite as impressive as our nerf bars. With a wide selection of different nerf bars available for you to choose from, you are going to love browsing our truck accessory shop. Looking for functionality without the flash? 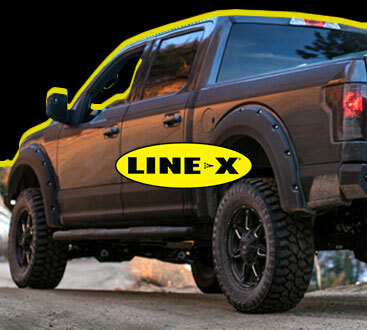 Our custom truck accessory store provides you with a variety of running boards that provide you with a useful way to get in and out of your vehicle without the risk of slipping or pulling a hamstring. It is easy to fall in love with just how high off the ground your truck is, but sometimes that height can work against you if you are taking your kids, parents, of significant other out on a drive. With our truck running boards, this issue is solved by giving everyone a sturdy extra step that will boost them right through the door and into their seat.